Just this year, supposed UFO Abductee Travis Walton ("Fire in the Sky") revived an old claim that Klass offered Steve Pierce $10,000 to lie and say that the Walton abduction story is a hoax. Many people accepted the accusation as true. The arch-skeptic Klass was not exactly a popular figure in UFOlogy! I investigated these claims in my Blog posting of February 13, "Travis Walton vs. Philip J. Klass," and found them unfounded. Klass mentions these charges in his 1983 book UFOs The Public Deceived (p. 221). Those accusations at the time did not come from Steve Pierce, but instead from Mike Rogers, Travis Walton's best friend. And Klass had never spoken to Pierce at all or communicated in any way until he read about the bribery accusations in Bill Barry's 1978 book about Travis Walton, Ultimate Encounter. But this time there were new accusations. This time Steve Pierce himself was on-board. When he appeared with Travis Walton and John Goulette at the International UFO Congress in February, 2012, Pierce completely supported Walton's accusation against Klass. Absolutely yes, Klass tried to bribe me, said Pierce. He flew out to Texas to wine and dine me and try to persuade me. He kept following me, I had to move to like three different states, to get away from him. Of course, there is no proof that this 'new version' of Pierce's story is correct. No photos of Klass and Pierce together, no letters or documents of any kind to back up this implausible tale. During the Q&A, I asked Pierce why he had changed his story from 1978. He claimed he didn't. Pierce explained that what happened was, he got into a feud with Mike Rogers, and so in anger he grumbled it about that the case was a hoax, but that was not true. When I returned home from the conference, I began to search for any documents that might support one version or another of this story. Klass willed his papers to the American Philosophical Society in Philadelphia, PA, where the collection now resides. I contacted them, requesting any files in Klass' Travis Walton case files concerning Klass and Steve Pierce. The result was this PDF file, that completely supports in every way what Klass wrote about his interactions with Pierce in his 1983 book UFOs The Public Deceived. (To read the document easily, Click on "ROTATE CLOCKWISE.) It is a transcript of the 1978 phone conversations between Klass and Pierce. At no time does Pierce suggest that the "bribe" story is true. Pierce also says that he never liked Travis in the first place, and explains why. Philip J. Klass Collection, 1948-2000. I did not alter the file in any way except to add a few brief "post-it notes." If anyone doubts the authenticity of this file, you can order your own copy. Contact: manuscripts@amphilsoc.org . The last few pages pertain to the Sheriff department's initial polygraph test, given while Travis was still "missing." This information was already well-known, and has been published in many articles and books. Just as I thought, a distortion of the $10,000 Klass challenge. It would be better to pin Pierce down on dates and show positive evidence of Klass' whereabouts on those same dates. If, under formal questioning, Pierce refused to provide such dates, it would show he's not interested in facts, just stories. Until then, the evidence seems to point to the caprice of the Walton camp: the earliest documents show no evidence to support the bribe claim; the claim is only seen later, as the events are shaped into a formal narrative; as the decades pass, witnesses believe late claims were always there from the beginning. We see the same thing in the Hill case. The earliest reports do not mention: the UFO passing in front of the moon, spots on the car, damage to Betty's dress, damage to Barney's shoes, Betty's missing earrings, or missing time. Yet later, these were all touted as crucial pieces of evidence, and now are always presented as if they were reported from the very beginning. The Hills believed the truth of their evolving story; I'm not so confident about the Walton group. Strictly speaking, you're correct. But what this shows is that the first contact between Klass and Pierce had nothing to do with setting up any bribe (this contradicts the story Pierce is telling now). Also that Pierce did not like Walton, and - VERY SIGNIFICANT - the he believed the 'UFO abduction' was a hoax. This just about clinches the Pflock hoax hypothesis (3 hoaxers, 4 hoaxed) vs/ Klass' own hypothesis (7 hoaxers). Also notice that Pierce is saying that the other guys in the back seat could not actually see the UFO(!!) because he was sitting in their way! And the part where Pierce describes the "UFO" as looking like a blind or something a deer hunter might have set up. Kevin Randle earlier commented on his Blog that this is not exactly a ringing endorsement of a UFO! What has obviously happened is that Pierce recently decided it would be a smart move to join Travis in 'his thing,' and thereby share in some of the benefits it has provided. Other people can't see out the window because he was sitting in the way. That's ridiculous. Yes, it is true. I even briefly mentioned this in my book “Fire in the Sky,” but all I knew then was that Deputy Click had taken Steve Pierce the message from Philip Klass when Steve still lived in this area. I didn't know then that Klass also had flown to Texas and spent hours taking Steve out to dinner and trying to get him to accept the $10,000 bribe. He even followed Steve to another state or two. I found this very curious since in the first edition of my book I had criticized Klass for being "an armchair investigator" who had never personally contacted anyone involved with my abduction, nor ever bothered to visit the abduction site. But then, I met someone at the 2011 International UFO Congress who ruefully admitted to having picked Klass up at the Phoenix airport and then driving him the 180 miles to the site of my abduction near Heber. . . . Yet, I never saw in any of Klass's books or "whitepapers" where he even once mentioned these costly "field excursions" to rebut my "armchair investigator" charge. . . .
All this strongly supports the belief that Klass was a paid government disinformationist. Compounding this are the FBI files I possess that someone obtained under the Freedom of Information Act. In these papers are documents citing repeated investigations of Klass by the FBI for revealing classified information. . . .
Klass was no friend of the FBI. He had derisively attacked the agency publicly for discussing the use of psychics in criminal investigations and for publishing an article titled "The UFO Mystery" by astronomer Dr. J. Allen Hynek in their internal publication. In view of Klass' intemperate criticisms and often irrational statements he made to support them, it was recommended that the Bureau be most circumspect in any future contacts with him." There also is a November 9, 1964 memo previously stamped “SECRET,” from FBI director J. Edgar Hoover to the Director of the CIA just about Klass, his security breaches and the FBI’s decision not to pursue prosecution or further investigation. It is highly redacted or blacked out, but it is significant that there was a director-to-director memo just about Klass". I was well aware of Travis Walton's claims. In fact, there is a link pointing to it in my first posting about Travis Walton on Feb. 13. But why should we believe it? The 1978 transcript from the archives of the first Klass/Pierce telecon show quite the opposite. Pierce says that the claims about an alleged bribe are lies, and he also says that he think's Travis' abduction story is a hoax. Obviously, in the 34 years since then, Steve Pierce has changed his story, for reasons we can only guess. Perhaps he saw Travis basking in a little bit of fame and good fortune, and decided to claim his portion of it? it's pretty hard to acknowledge that possibility to risk the collapse of your worldview entirely. Is there any evidence that the transcript is genuine? Strange that this alleged $10,000 bribe is exactly the same amount that Klass was offering to anyone under the conditions given in the final chapter of his book UFOs EXPLAINED (1974). This offer was publicised on radio, TV and some magazines. If any such 'bribe' figure was ever raised by Walton, or anyone else, I suggest he was confusing it with this offer. I believe Klass did have a few, maybe 3 or 4, takers, including Stanton Friedman. James Randi had a similar offer regarding psychic phenomena, later raised to $100,000 (or was it $1 million)? Thanks for doing this work, Robert. Dear Mr.Sheaffer,I would like to respond to your statment on steve jumping on the bandwagon for profit. steve has NEVER recieved money from any conferences.steve has had to hich-hick to conferences,had friends give him rides,and yes even pay his way. On the reports by Mr.Klass i have read what is posted i can say there are words steve would NEVER even use in these so called reports stating what he said. I have known steve for twenty years,was married to him for sixteen and believe me some of those words are not used in his vocaburary! Steve has always admitted to THINKING about taking Mr. Klass offer of 10,000 and it was hard not to cause he needed the money at the time(LET'S KEEP IN MINE STEVE WAS STILL A TEENAGER AT THIS TIME AND WE ALL REMEMBER BEING TEENAGERS RIGHT) but steve knows that what he seen and five other men seen is travis being abducted by a UFO. steve did say to Mr. Klass ONLY that he would say it was a hoax, so any reports out there is just steve REPEATING what Mr. klass told him to say DURING THE one time they met. in order to get the money which again steve NEVER TOOK! because his moral's would not allow him to tell a out right lie. Now on the name calling VERY uncalled for and unprofessional no one cares if steve called travis names over thiry-five years ago.it has nothing to do with ufo's i think you brought up the naming calling to make steve look bad, and i can tell u at their conferences they poke fun at each other. I could say the same about you jumping on the band wagon of Mr. Klass' .Mr. 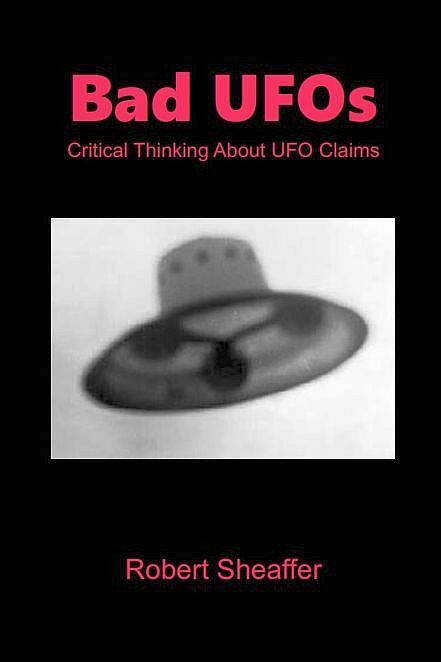 Klass was alive when travis wrote his first book with this statement in it and he never tried to defend himself so to me that says even he knew it was true, Mr Klass with no disrespect to the dead has a reputation of changing his reports/tapes to suite his own benefits of his belief on ufo's. Steve's story on this matter has NEVER changed over thirty-seven years !Steve was never wine and dined. going to a resturant does not mean you are being wined and dined it was a one time meeting place. this took place in Texas where steve had moved TO GET away from the situation and not be bothered but some how Mr. klass found him a good 1,000 miles a way. and by the way steve DID NOT CONTACT MR KLASS at any point or time for any reason. After reading this entire blog I came upon your response and saw it as the only one that made or had any common sense. All of the 'arm-chair enthusiasts' in the world can not come up with one single piece of forensic evidence to debunk what happened to those men. In fact the only evidence that matters is the forensic evidence and none of these people have a leg to stand on. They cannot nor have they ever debunked the lie detector tests. This only proves that there is more evidence proving their story than there is to disprove it. Talk is cheap and arm chair skeptics prove it. As for Philip Klass? Read his entire biography. He was exactly the type of person who would go out of his way to make a point including trying to bribe someone. The reality of the fabrication is the fact that this story is a story in "time" and should be viewed that way. Walton's story falls into the SciFi fallacy in that it is not at all proleptic! That transcript came supposedly from a phone conversation dated 6/11/78. Klass had to type that out via listening back to a tape recording. Where is the recording? You would have thought he would have kept it to back up the transcript he typed. Anyone can type out a transcript and say these are the facts to back up their version of a story. Just look at how skeptics view the MJ12 documents. Without the recording the transcript cannot be proven to be genuine as far as what was actually said in the phone conversation. I am not sure what the real story on Steve Pierce is but Philip Klass has been known to use intimidation and harassment to get his point of view across and in to the limelight. As with many of these cases the truth may never be known. However some of what Steve Peirce supposedly says in the transcript seems very disjointed and makes little sense. Everyone in that vehicle would have been able to see what ever it was in the clearing. Five of the witnesses passed a an initial polygraph test soon after the event. That in itself shows the transcript possibly to be a deception. I worked quite closely with Klass for a number of years. Klass was in the habit of recording every UFO-related phone conversation. And for the important ones he would type out a transcript, as he did here. As for the suggestion that Klass may have simply invented this transcript, we have the comment from the late Karl Pflock in Moseley's Saucer Smear (January 15, 2000) that Klass sent him "a dub" of that same conversation. So Pflock said that the tape existed, and he heard it. "Phil also ignores some very important testimony he obtained from witness Steve Pierce [one of the five workers] during a June 20th, 1978, tape-recorded telephone interview (a dub of which he kindly supplied me in early 1998), testimony which to my knowledge he's never revealed in any of his writings about the case:"
It is possible that the tape of this conversation may be in the collection at the American Philosophical Society. I do not know which of Klass' tapes, if any, are preserved there. Egad, people, stop citing polygraphs as evidence of anything. It's pseudoscience. The only relevance in this case is that APRO tried to cover up Walton's failed, initial polygraph. The failure is not the problem, it's the coverup.